The way you use Google Maps StreetView is to zoom in on an area, then click on the “PegMan” icon and drag him to a piece of road. When you drop him off, you will see 360 degree photographic view of that piece of road. 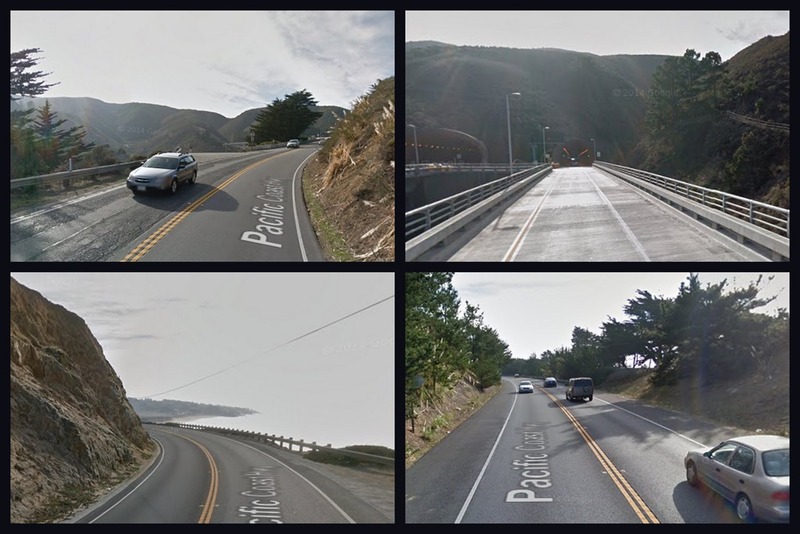 The picture at the top of this page shows 4 such images of different pieces of the Pacific Coast Highway. Then you can continue to ‘drive’ the road by clicking on the arrows on the road, or by using the map inset at the lower left and continue to drag PegMan to the spots you want to view. I did that for many miles of the highway. 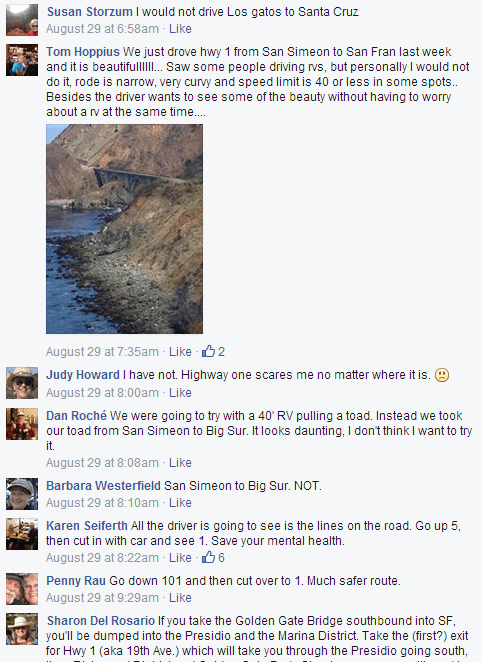 (see Tutorial Video: Researching with Google Maps – Membership required) The road itself doesn’t look too bad but what we noticed was that we saw not one RV or big truck after scrolling thru several miles of highway. It seemed to be telling us that people just didn’t take this road with big rigs. Which way do you think we went? living. I would like to make a file of maps to often go to places of friends, places.— not directions. Yes, you can go to http://www.maps.google.com and simply look up an address, you don’t have to get directions. Once it finds an address, you will see pop up info below the search box including a place to click for Street View. 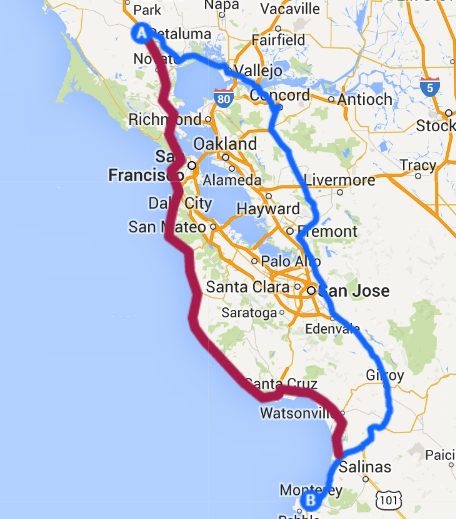 To make your own map with points you want to remember, you can use the “Custom Maps” feature. There is a ‘show-me-how’ video on that on our Tutorial Videos->Google Maps page.